South Australia is quickly becoming one of the most ambitious renewable energy hubs in the world. After arriving on the scene late last year when billionaire entrepreneur Elon Musk helped the Australian state install the world’s largest lithium-ion battery in just a matter of weeks, on Sunday the government announced plans for the world’s largest virtual power plant. A virtual power plant (VPP) is a fancy name for distributed electricity generation. In this case, it will entail a network of 50,000 home solar systems backed up by battery storage. A trial run on 1,100 homes is already underway, using 5kW solar panel systems and 13.5kWh Tesla Powerwall 2 batteries (to store the excess energy created during the day) for each household. After the trial, the systems will be installed on 24,000 public housing properties, before being opened up to other South Australians shortly thereafter over the next four years. A review by Frontier Economics showed that when completed, the 250-megawatt plant is expected to lower energy bills for households by 30 percent. Supporters of the program—aside from scoring potential political wins in upcoming elections—hope the virtual power plant will stabilize the region’s electricity grid, which has suffered expensive blackouts in recent years due to high demand and a 40 percent reliance on wind energy. A weak supply of fossil fuel power hasn’t helped either, as domestic coal plants have shuttered and demand for natural gas exports threatens supplies. 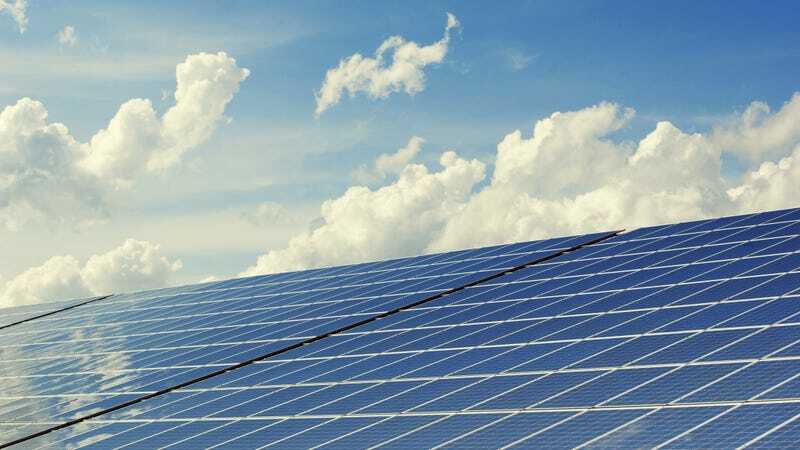 This means that rather than benefit from zero-cost power from their rooftop panels and in-home energy storage, a retailer will sell the power generated by the solar panels and stored in the batteries back to households at a discounted rate. “Nonetheless, the scheme should help all consumers, whether or not they sign up as participants or not,” the analysis concludes. Will 2018 Be the Year Our Electric Car Future Gets Real?